So in the past installments of Project 350Z, we took a look at getting the car's suspension and brakes up to snuff. With the car handling and stopping well, we turned our focus to freeing up more power. Since the car is mostly a budget track day beater, we decided against forced induction options for now because making a high power forced induction motor reliable under continual hot lapping conditions is a somewhat expensive proposition. To make a car that was not originally designed to be forced induction track reliable would require big changes to the car's oil and water cooling systems and modifications to the lubrication system all of which end up being expensive and adding complexity to the car. Big power in the Z33 chassis usually makes adding a diff cooler mandatory as well on a car with a mechanical LSD for anything more than just a few laps. On an early VQ35DE, forced induction track reliable power will usually mean building the bottom end to upgrade the pistons rods, bearings, cylinder head water circulation and head gaskets. Bigger power might also mean bigger tires, bigger brakes etc. So to keep a decent budget balance, we decided to focus on some good bolt ons to see what we could get from our Z. For our first step we decided to free up the exhaust side of things with headers and an exhaust from DC Sports and free flow cats from Berk Technology. 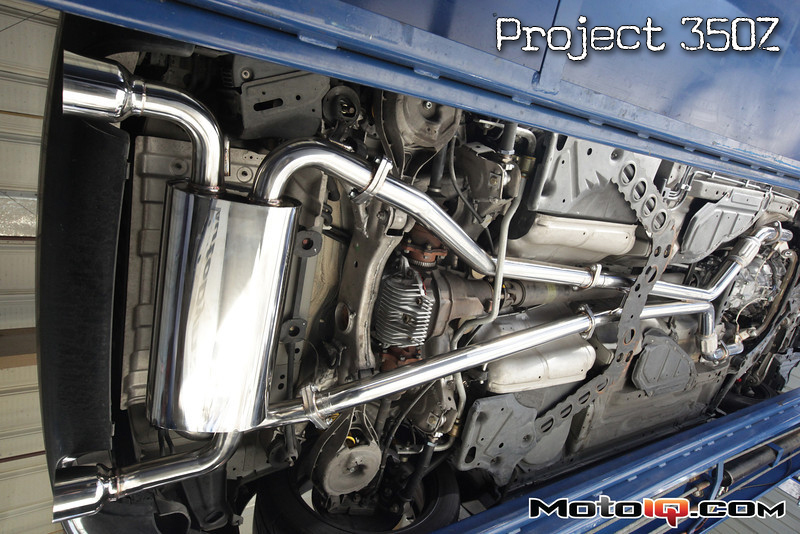 Want to read more about our Project 350Z? We chose DC Sports headers because we wanted a modular system that would allow us to bolt any piece of the stock exhaust back in place. Yes we know that long tube headers might make a little more power but we wanted the flexibility to run stock cats if we had to later. We feel that the DC Sports headers are some of the best off the shelf reasonably priced short tube headers for the Z on the market. 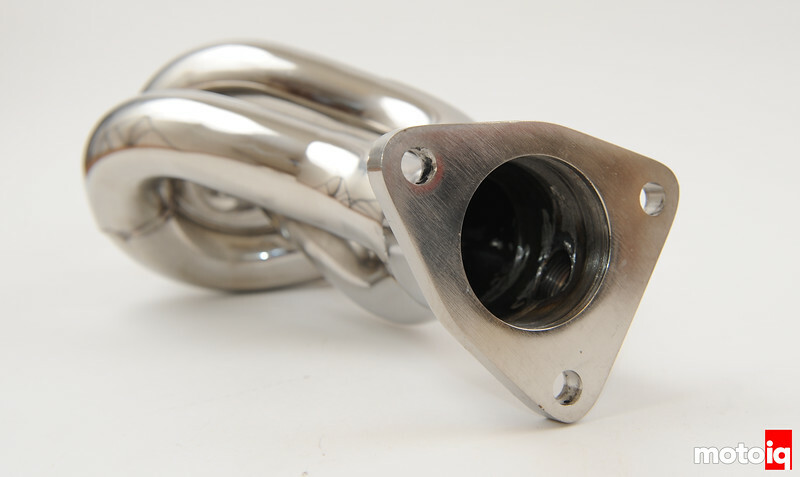 The DC Sport headers feature all 304 stainless steel construction. Stainless steel is worth the price differential because it doesn't rust and since stainless has half the thermal conductivity of mild steel, keeps the heat out of the engine compartment and in the tubes for better scavenging and faster cat light off. 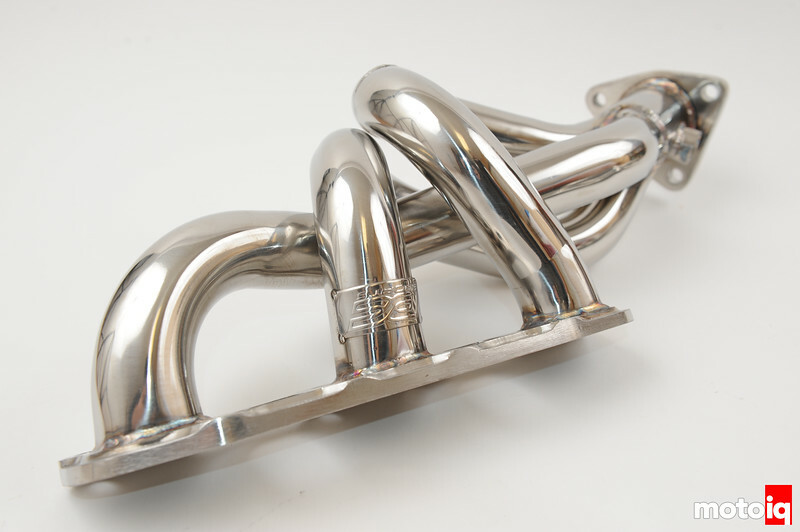 A stainless header will make more power than a mild steel part of the same configuration. The DC Sports headers have nice construction quality. Look at the CNC cut stainless flange. It is scalloped for less weight and to reduce the chances of warpage or cracking due to thermal expansion. 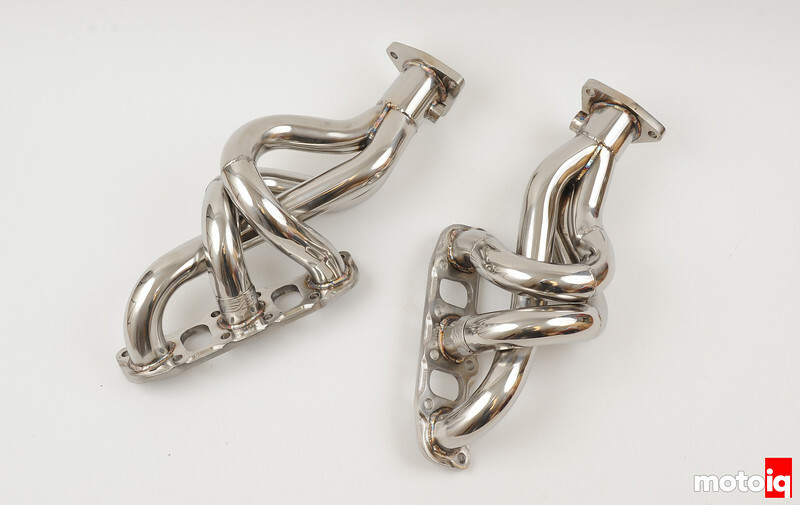 The headers have nice workmanship for a moderately priced mass production part, flashing is all hand ground away from tubing junctures and the welding consists of nice TIG welds.